Public Art in Chicago. Where public places are art galleries. All images are copyright © Jyoti Srivastava [Unless otherwise mentioned] . Please do not use any image without written permission. Address: 4501 S Vincennes Ave., Chicago 60653. Year Built: 1898 – 1899. Ebenezer is the birthplace of gosple music genre. Date Designated a Chicago Landmark: July 28, 2011. 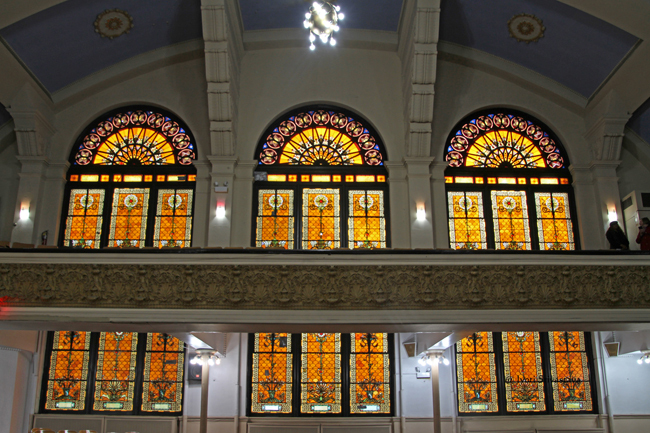 The building was originally constructed as a Jewish synagogue, then named Isaiah Temple, in a predominantly German Jewish neighborhood. 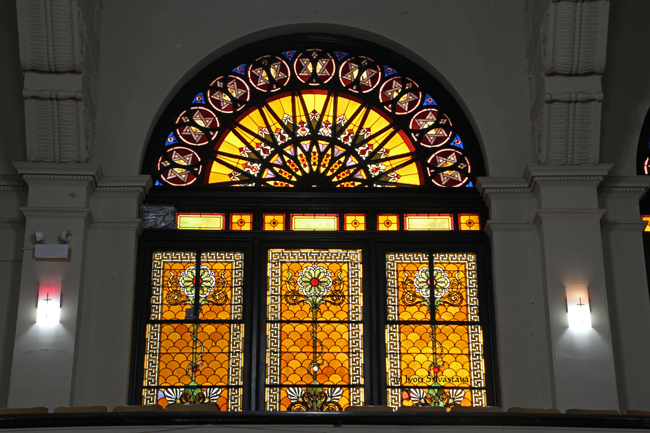 Built in 1899 this Classical Revivial-style building is the last building designed by famed architect and engineer Dankmar Adler. 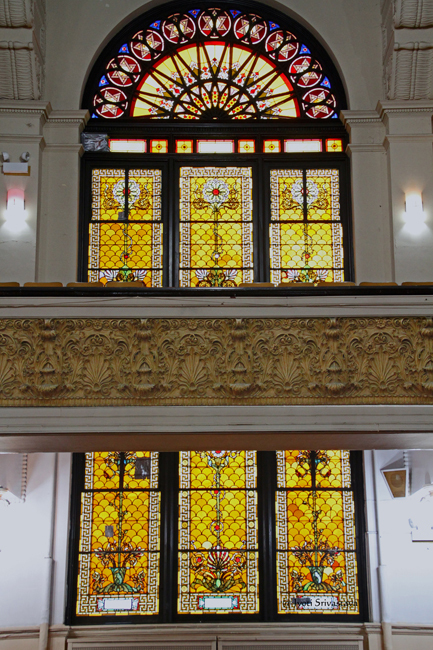 It is long-admired for its distinctive form and fine acoustics and exhibits many characteristics associated with the work of Adler – who is best known for such works as the Auditorium Building and the Garrick Theater, both designed in partnership with Louis Sullivan. 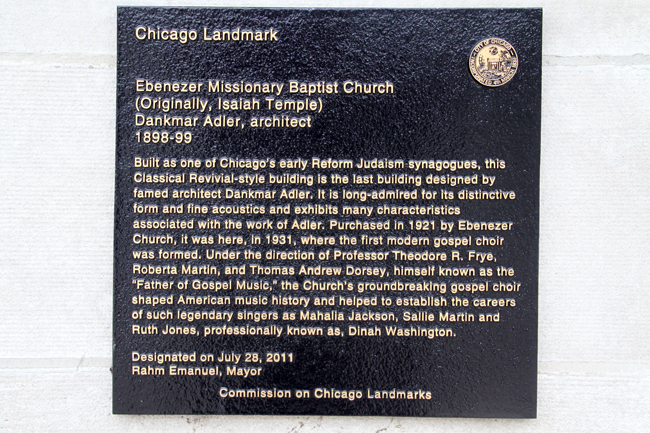 Ebenezer Missionary Baptist Church was organized in June 10, 1902 when a disagreement arose in Olivet Missionary Baptist Church, Chicago’s oldest African-American church, over the purchase of property. The dispute split Olivet into two factions. One faction remained at Olivet. The other – a small, determined group of about 30 parishioners led by Olivet’s former pastor, Rev. J. F. Thomas, – established Ebenezer Missionary Baptist Church. 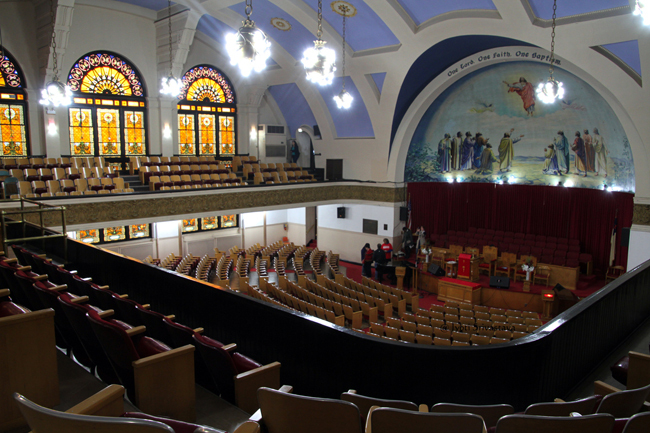 In 1921, the synagogue was purchased by Ebenezer Missionary Baptist Church to serve the area’s growing African-American community. 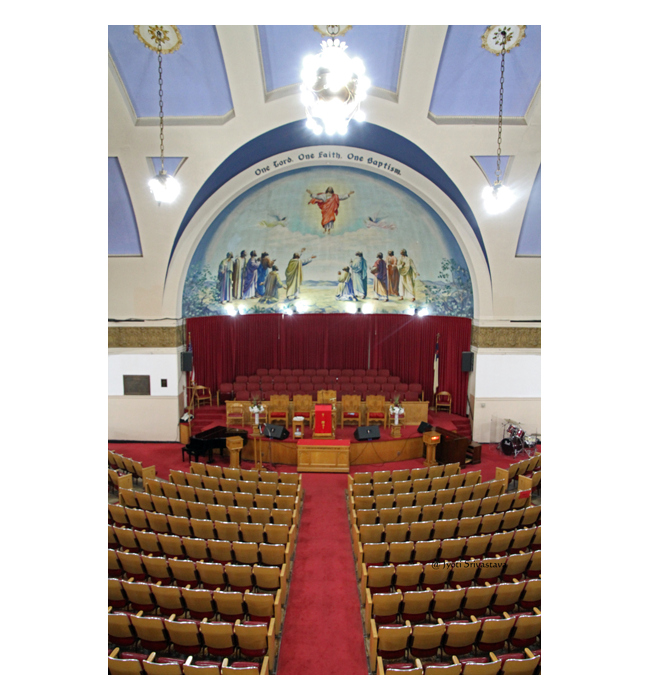 A decade later, in the early 1930s, the first modern gospel choir was formed at Ebenezer. 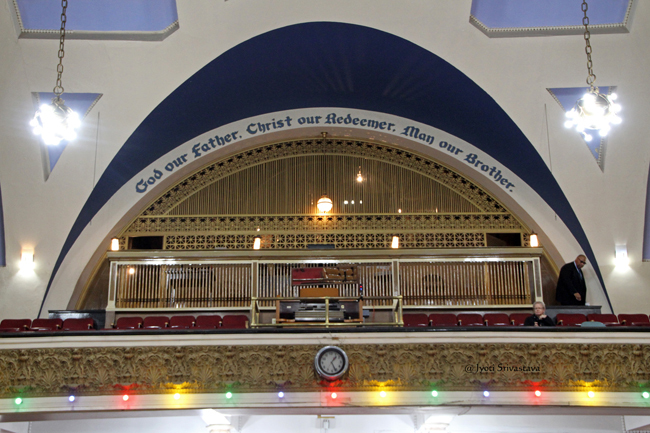 Ebenezer is the birthplace of gosple music genre. 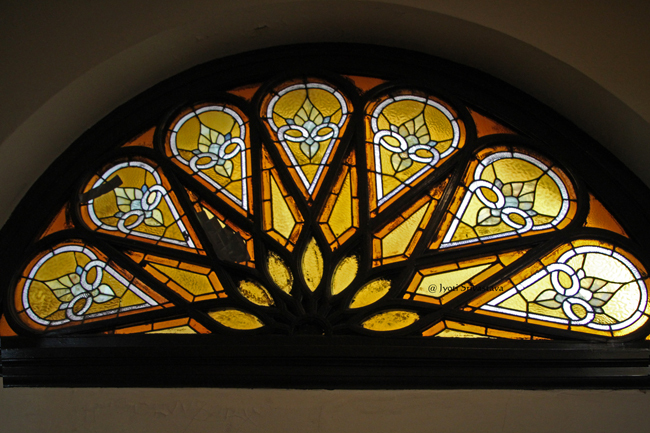 Thomas Dorsey, “Father of Gospel Music,” introduced his blend of Christian praise and blues at Ebenezer and started the first gospel choir here. 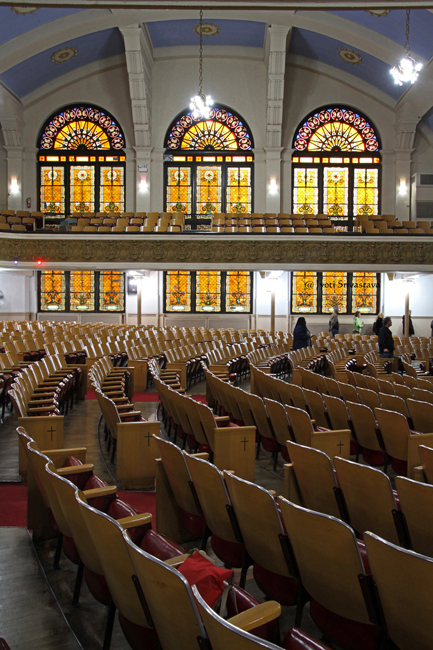 Under the direction of musical pioneers Professor Theodore R. Frye, Roberta Martin, and Thomas Andrew Dorsey, the Church’s groundbreaking gospel choir shaped American music history. 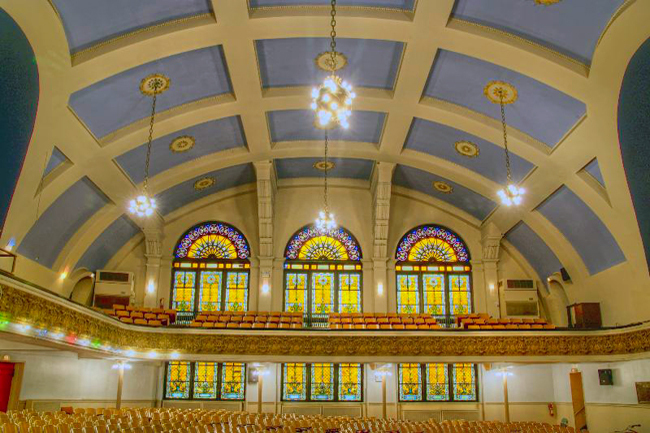 The enthusiastic reception of gospel music at Ebenezer played a pivotal role establishing the careers of such legendary singers as “Queen of Gospel” Mahalia Jackson; Roberta Martin; “Mother of Gosple Music”Sallie Martin; and Ruth Jones who was professionally known as Dinah Washington. 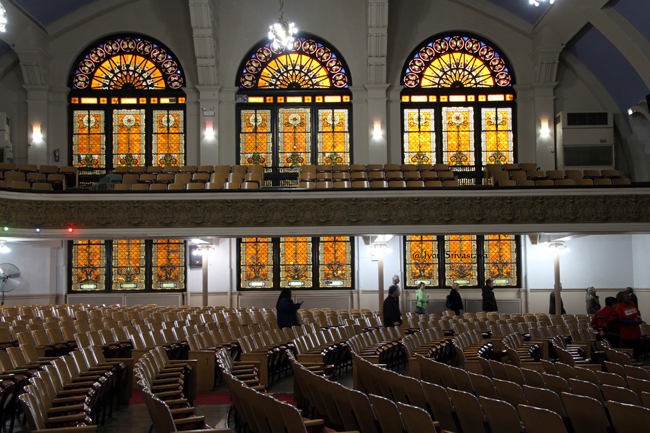 Other highlights of the building includes: 1,200-seat barrel-vaulted auditorium, with a horseshoe-shaped balcony and brightly colored stained-glass windows. 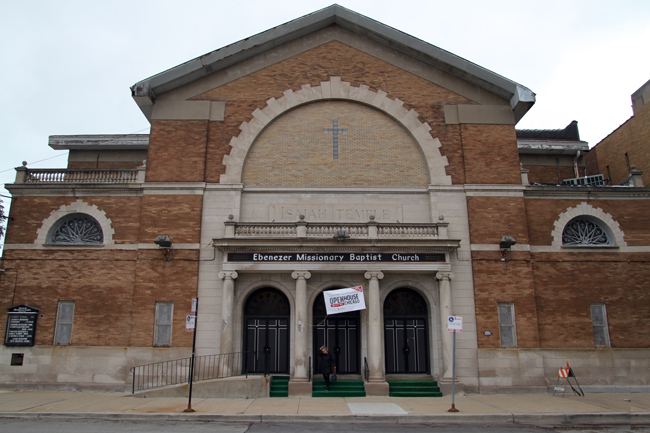 Ebenezer Missionary Baptist Church has been home to generations of Christians on the South Side of Chicago. 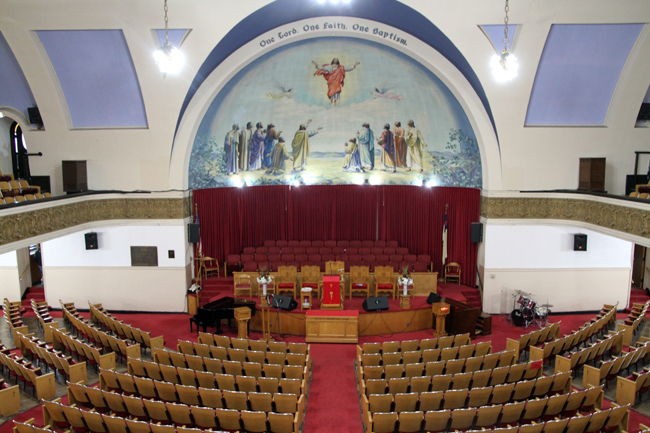 Since her first congregation formed in 1902, Ebenezer’s prominence in the heart of the Bronzeville community has been unparalleled. 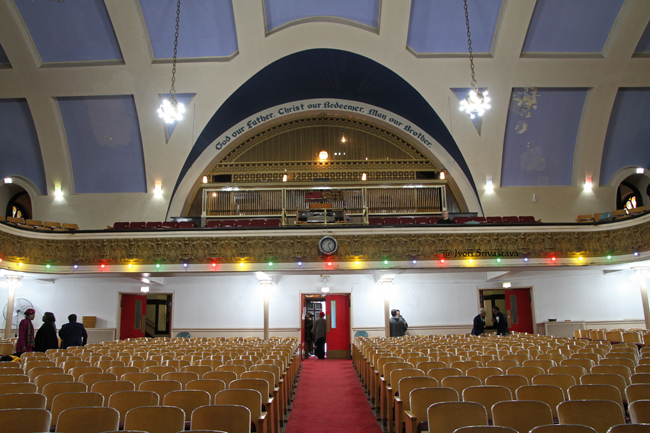 During the Great Migration of the 1900s, scores of blacks who transferred to Chicago from the South settled in Bronzeville and made Ebenezer their church home. 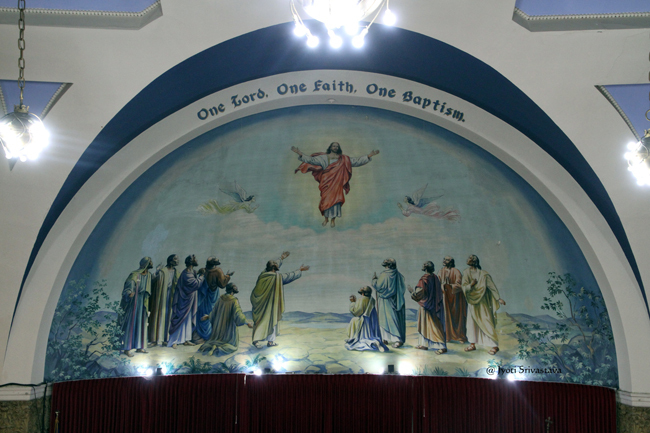 Places of Worship: Churches & more.. click here.. 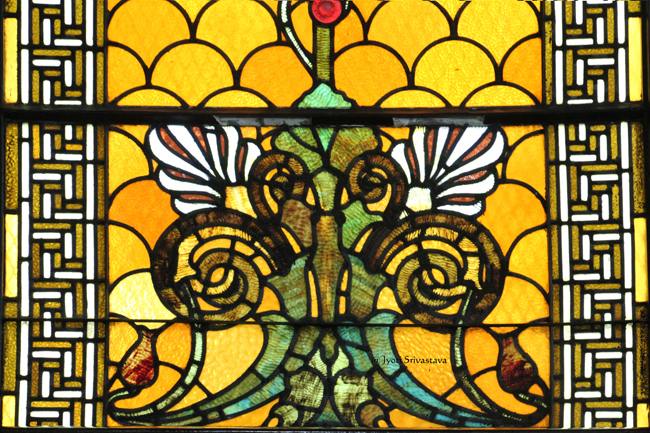 Places of Worship: Temples & more.. click here..
Open House Chicago [OHC].. click here..
Photo Gallery / Church Art and Architecture.. click here..
Home: Public Art in Chicago.. click here..
Click Index, if drop-down menu does not work. All images are copyright © Jyoti Srivastava. Please do not use any image without written permission.